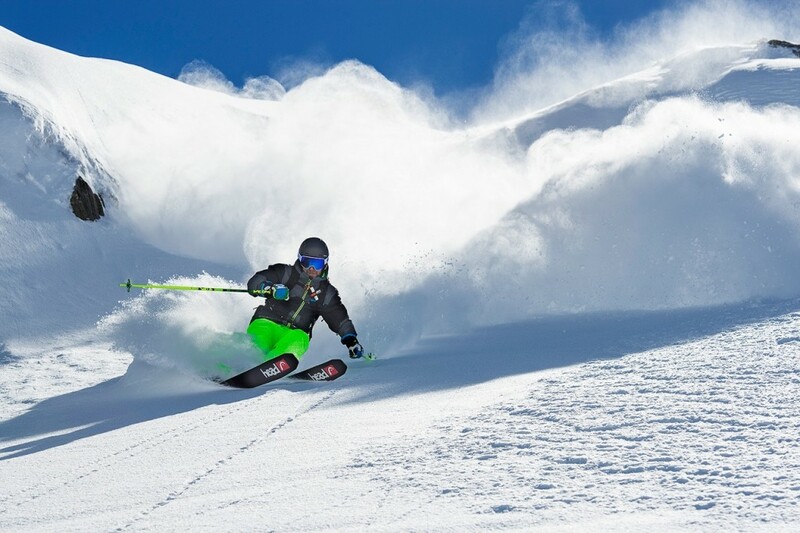 It doesn’t matter if you only do one ski season or you end up becoming the eternal seasonaire you need to make the most of it! The winter will pass in a flash and it will be summer before you know it. Don’t be caught out and left wondering “Did I make the most of that winter”? To make sure that doesn’t happen to you we will now bang on like your grandparents lecturing you about life in the hope you might listen and get the most out of your winter odyssey. Make sure you pick the winter experience that suits you the best. If you’re planning on working then choose the best job you can get. Top tip: Pay isn’t always the top priority. 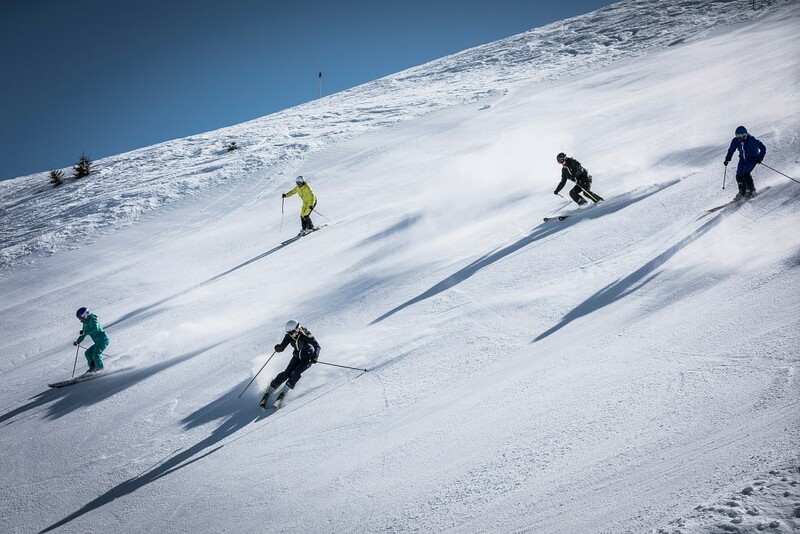 Another alternative is to do a season-long course that can be used as stepping stone to becoming a ski or snowboard instructor or as a way to really improve your technique and style. A week is a long time to spend in hire boots riding hire kit, just imagine doing that for a whole season. You will find it hard to improve with poorly fitting boots and low quality ski’s or board. Unless you’re a complete beginner it is worth investing in some decent hardware to play on over the winter. When deciding what to buy you should think about the sort of rider you want to be. If you plan on honing your turns and on-piste style get the kit that will help you achieve that, the same goes if you want to be a master in the park. Top Tip: Many shops in the resort will allow you to pay in instalments throughout the season. It may sound like a silly thing to say but you should try and have some goals throughout the season as these will focus you and help you become a better rider. Unless you are doing a ski instructor qualification where the goals are clear you might want some inspiration. To truly improve it is worth seeking out guidance from experienced riders with the skills you desire. There is a time and place for a lie in and a serious whiteout is the ideal excuse for a DVD day. However, every day in the mountains is special and you will miss it when the snow melts and you return to suburbia so make sure you get out as often as you can. Make the most of your surroundings and don’t limit yourself. We know that at the season’s midpoint an amount of skiing fatigue can set in. Why not try a different snow discipline or get out for a hike in the forest along the walking trails. Setting yourself an “extras” budget is a great way to get the most out of your winter. We do it with Basecampers who are out on our courses. 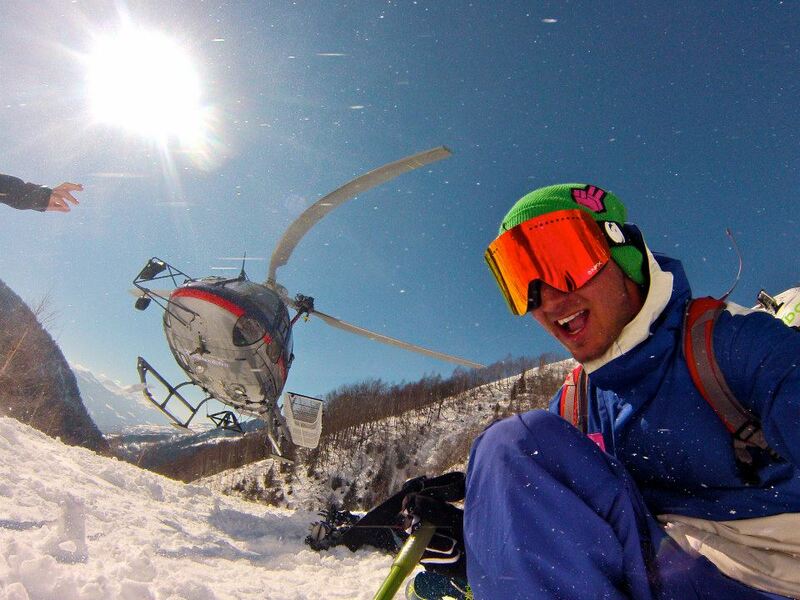 We organise heli-ski trips and backcountry tours to make sure we get the best experience every winter. You could also think about booking someone to one instructor time, hire an off-piste guide or squeeze in a skydive! For us, one of the best things about a season is that you are in resort for the whole winter and that means you won’t miss a single powder day and they don’t happen that often! It’s hard to forget the massive smiles, sore legs and rush of adrenaline that follows a day in fresh snow. Just writing this brings back a flood of memories, from my first real powder session in Tignes, to big hikes for fresh lines and a face full of snow in the trees. These are special days, make sure you are ready when they come. Before it happens spend some time working on off-piste techniques, take an avalanche awareness course and make sure your fitness is high. When the snow comes get an early night, stay hydrated, pack a lunch, get your avalanche kit ready, get up early, find a crew and enjoy! 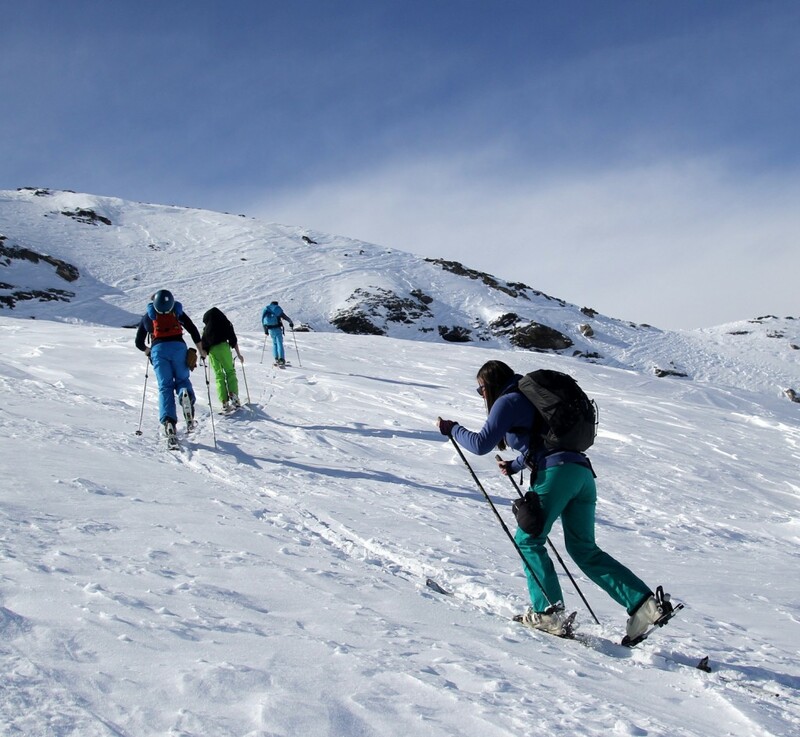 Skiing and snowboarding can be physically demanding and if you plan on reaching a high level of performance you should ensure you fit and ready for the winter season. Here a few guides to achieving pre-season fitness. 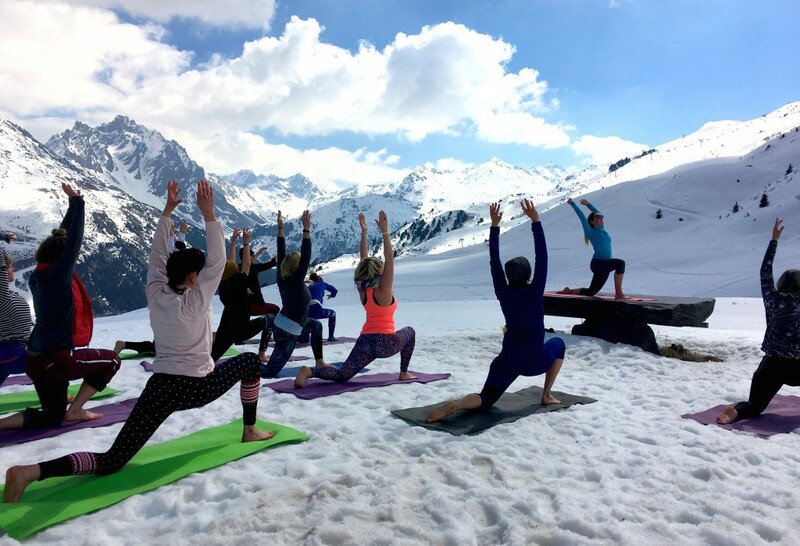 DO YOGA TO IMPROVE YOUR SKIING & SNOWBOARDING! Once you are out there you should try and maintain a dedicated fitness regime. While it is a demanding sport it is often short bursts of activity followed by long periods of sitting on long chairlifts. To counter this it is worth having a training regime. Most resorts have gyms that offer seasonal membership, the same goes for swimming pools or you could go for a run. Yoga is another great way to work on your core fitness as well as muscles that are specific to skiing and snowboarding. Whatever you choose to do this season make sure you have fun and get the most out of your time in the mountains. 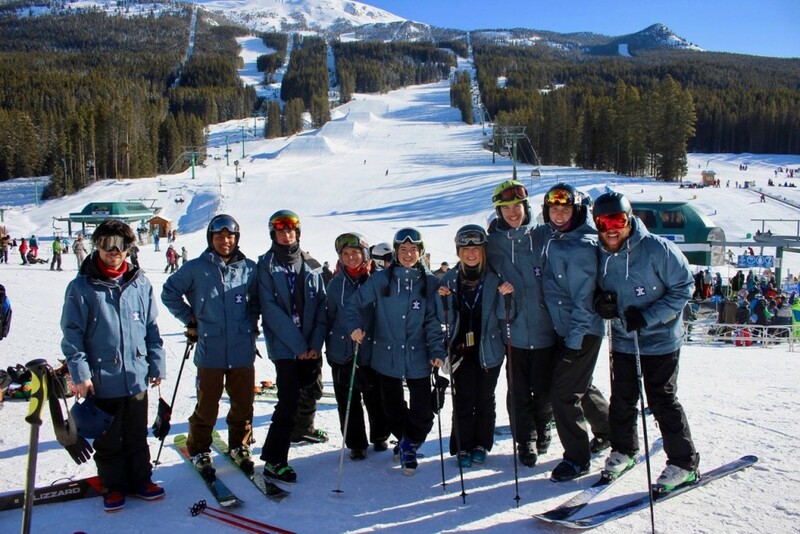 If you are looking for the ultimate season experience Basecamp run instructor and performance courses in Meribel and Banff. Our courses include many of the suggestions above that you need for a memorable season. Give us a call on 0205 789 9055 or get a brochure. 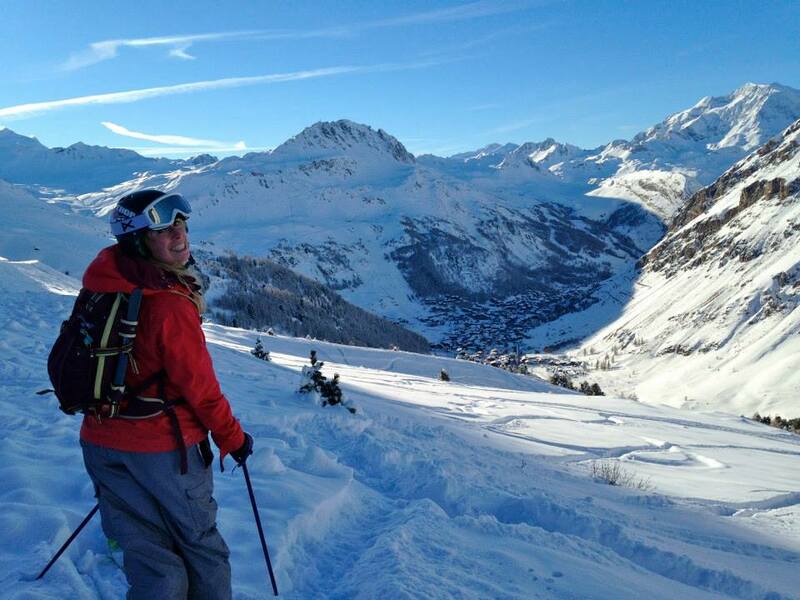 This entry was posted in Employment, Life in Ski, Meribel, Snowboard, Snowcamp and tagged adventure, canada, employment, instructor, Meribel, performance, powder, ski, Ski and Snowboard Show, Ski Instructor, Ski Instructor Jobs, Ski Season. Bookmark the permalink.